Dr. Travis Mueller grew up in Purcellville, Virginia. He graduated with a Bachelor of Arts degree in Biology from West Virginia University in 1993. He completed his Doctorate of Dental Surgery degree at the Medical College of Virginia School of Dentistry in 1997. Dr. Mueller then completed a two-year hospital based residency at MCV and McGuire Veterans hospital where he received special training in implant procedures, oral surgery, and cosmetic dentistry. Dr. Mueller worked as an associate dentist in Richmond immediately following his residency before beginning his practice in Short Pump in 2000. In 2005 he and Dr. Jennifer Mueller took over for Dr. Gary Jennings upon his retirement in Amelia. 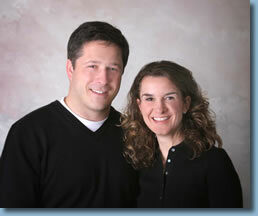 Dr. Mueller enjoys the challenges of difficult cases and is committed to providing the best dental care available. Dr.Travis Mueller is a member of the American Dental Association, Virginia Dental Association, and Richmond Dental Society. He completes many hours of continuing education each year to ensure the procedures and information he provides for his patients is of the highest quality.